Have you ever wondered why facebook allows you to use their service free! though they run about 30,000 servers(app.) huge amount of electricity,about 3000 employees & one billon active users. so why do they offer us free service for us.are we relatives to them or they run free organization.the answer is simply NO .you would have seen this quote "It's free and always will be." so coming to the conclusion that they show as advertisements and generate revenue through advertisements. facebook target all kinds of peoples such as programmers, bloggers. business peoples , musicians , advertisers . publishers each and every corner in the world . so they have futures like status updates ,photo updates ,pages events, groups which target common peoples in life. so, and it act as user friendly environment for users all around the world.so it has more than one billion active connection around the world. according to business , generally they advertise where peoples activities are more.so they targeted facebook were a huge mass of peoples flow in to it. you would have seen in our cities, advertisers advertise in exhibition,parks, and other malls.take this in to computer world ,they just target where peoples activities are more. At the beginning facebook was utilized by Harvard university students.but later it was integrated in to big giant website and it was integrated and used by whole public peoples.after 2008, advertisements were included in facebook which made them a huge profit for them.this made a big revolution in the filed of advertisements were users can generate their own ads using facebook and could target many number of peoples with click impressions that makes their business success and increase traffic for their websites. how much you're worth for facebook? have you ever wondered how much you're valued by facebook per year.It's $100 or $50 or $25 .no it's just $4.84 per year.but they bring about a huge profit because there are one billion active connections around the world . nowadays facebook shows more advertisements,you would have experienced it newsfeeds bannered as sponsored or promoted .And you might regular advertisements in side of your newfeeds. and this year they had started facebook marketing which target business success using facebook. what do You gain from facebook ? What Do You Learn from Facebook? what is facebook IPO ? "An Initial Public Offering, or IPO, is when a company first goes public and issues stock certificates, or ownership interest, in that company. Every company traded on the stock market, whether the Dow Industrial index, the S&P 500, the NYSE, the NASDAQ, or a foreign exchange, will go through an IPO to begin its life as a publicly-traded company. The process is quite complex, but in a nutshell, the company decides what it thinks it's worth, and then tries to sell its stock at a certain price to raise the amount of money they think they need for capital investments or to pay off private investors. However, the problem is that a company never knows how highly it will be valued on the market, which means that it may overprice its stock, leading to low sales and a bad image (first impressions, right?). Or, the company may undervalue its stock, leading to lost potential earnings from its offering. Facebook's IPO is different, however, since Mark Zuckerberg & Co. have estimated the worth of their brainchild at a rather staggering $100 billion (later reduced to a much more reasonable $96 billion ... but then revised higher). If successful, this will rank as the largest Internet IPO in history, as well as one of the largest IPOs in any industry. However, to your potential disappointment, you're not going to be able to get in on the sale through eTrade or your friendly local stockbroker. IPOs are exclusive events that are typically reserved for deep-pocketed mutual fund companies, like Berkshire Hathaway, and other large institutions, as well as the customers of the firms underwriting the IPO. The conundrum arises form the fact that the going price of stocks typically fluctuates wildly upon their release. For instance, Facebook's target price is currently $34-$38 per share, which isn't too bad for a tech stock, but depending on investor confidence, that price may rise rapidly, providing a "stag profit" for early adopters, or the share price could plummet, leaving initial investors high and dry. As it stands, Facebook's IPO is unusual, especially in the tech industry, since many companies try to go public as soon as possible and seek to raise funds right away. In the case of Zuckerberg & Co., however, they waited until they were basically forced to go public. Considering that they were able to write a $1 billion check for Instagram (since put on hold), FB, as it will be traded on the NASDAQ, hardly needs the capital they will raise from this offering. Yet going public will allow Facebook to become an even greater power in the tech sector, and fulfill the idea that Facebook, and not Bing, Yahoo, Amazon, or even Apple, is the biggest threat to Google's search-based empire." 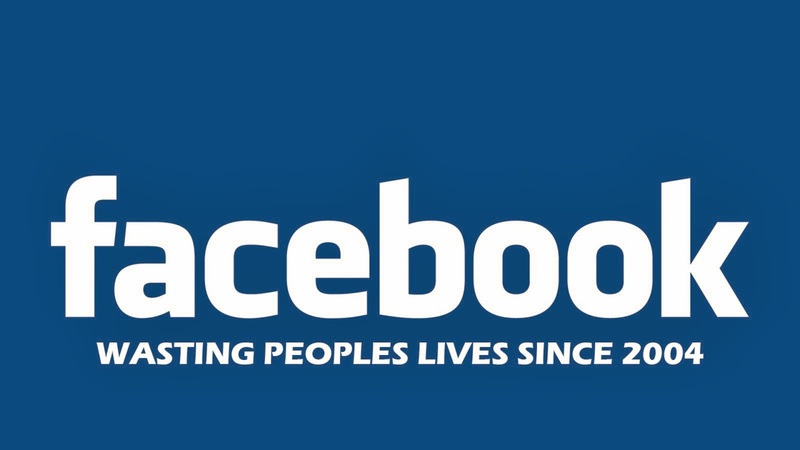 and all around I Would say in a just a picture about Facebook!